Trump's new national security adviser John Bolton, an architect of the Iraq War, is an extreme hawk who wants to bomb Iran and North Korea and demanded regime change in Libya, Syria, and Venezuela - Ben Norton reports. BEN NORTON: One of the most cartoonishly hawkish political operatives in the United States is now the top national security official, and has the ear of the president. 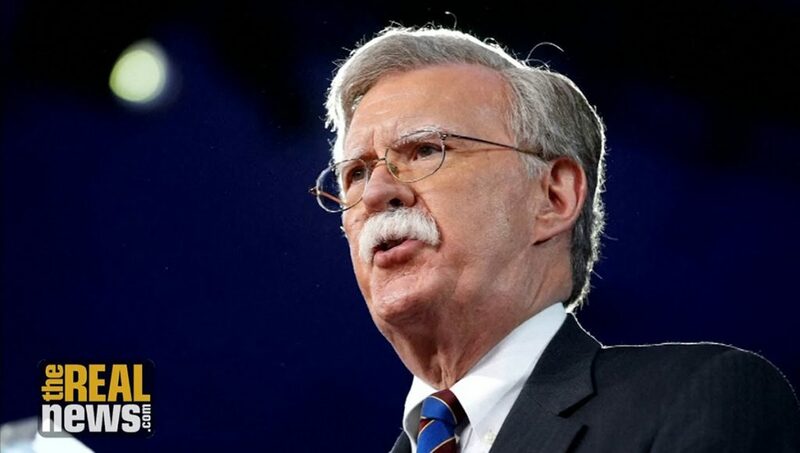 Donald Trump announced on March 22 that he had appointed hardline neoconservative John Bolton as his national security adviser. Bolton is a textbook example of an ultra-hawkish neocon. He has staunchly supported every single recent U.S. war, and played a significant role in some of the most catastrophic and criminal military conflicts of the 21st century. Bolton has proposed bombing Iran and North Korea, and called for harsh sanctions and regime change in Syria and Venezuela. JONATHAN SWAN: John Bolton is as interventionist and hawkish as they come. And this is about personal chemistry with the president of the United States. BEN NORTON: Under former President George W. Bush, John Bolton served as the U.S. ambassador to the United Nations and as an undersecretary of state. As a top official in the Bush administration, Bolton was one of the architects of the illegal 2003 invasion of Iraq. Even Fox News’ extremely right-wing host Geraldo Rivera has worryingly pointed out that Bolton is totally unapologetic for the Iraq War, which led to at least 1 million deaths. GERALDO RIVERA: Bolton is a hardliner. We know him very well, we know the ambassador very well. He was one of the cheerleaders for the Iraq invasion in 2003, which ended disastrously. Unlike me, who feels very guilty about my support of that invasion back in those days. STEVE DOOCY: At that time, it made sense. GERALDO RIVERA: Well, we like to think so. The ambassador, though, unapologetic about it. He still believes it was a good idea. I think it disrupted the entire Mid-East, and we’re still paying the piper for that. BEN NORTON: Bolton has repeatedly refused to even acknowledge that past U.S. regime change operations were undeniably disastrous and unleashed chaos and mass destruction. TUCKER CARLSON: You’ve called for regime change in Iraq, Libya, Iran, and Syria. In the first two countries we’ve had regime change, and obviously it’s been, I’d say a disaster. I think we’d agree on that. JOHN BOLTON: No, no, I don’t agree with that. TUCKER CARLSON: You don’t think it’s been a disaster? 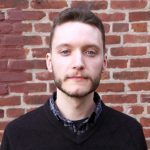 BEN NORTON: In fact, John Bolton’s main complaint has not been that the past U.S. wars he supported in Iraq, Libya, Syria, and beyond have destroyed the lives of millions of people, destabilized the Middle East, and given birth to murderous extremist groups like ISIS and al-Qaeda. Instead, Bolton’s main complaint has been that the U.S. is not waging enough wars and overthrowing enough foreign governments. The new U.S. national security adviser has spent years lobbying for wars on Iran and North Korea. In 2015, Bolton published an article in The New York Times in which he declared that the U.S. or Israel should bomb Iran’s nuclear facilities. He added that Washington should then help Iranian opposition groups carry out regime change in Tehran. A Fox News correspondent pointed out that Bolton has proposed a first strike attack on North Korea, which could precipitate an apocalyptic nuclear war. Under George W. Bush, John Bolton falsely claimed that Iraqi leader Saddam Hussein had weapons of destruction that threatened the safety of the West. Today, Bolton continues saying the same thing about Iran. In early March, just two weeks before he became the top U.S. national security official, Bolton used this WMD tactic to try to dubiously tie together Iran and North Korea. JOHN BOLTON: What we have to worry about, I think, most importantly, is the threat of North Korea’s nuclear weapons program, which is more advanced than Iran’s. But it all ties together in the Middle East. You may have seen reports recently of a UN inspector’s study of North Korea selling chemical weapons, precursor chemicals and equipment to manufacture chemical weapons, to Syria, likely financed by Iran. So, there is a palpable threat of weapons of mass destruction, something President Trump acted against earlier in his term, that the North Koreans have brought into the Middle East, with Iran’s participation. BEN NORTON: What is Bolton’s solution to this new supposed “WMD” threat? Once again, war. JENNIFER GRIFFIN: There’s no greater hardliner on North Korea than John Bolton. We’ve known Ambassador Bolton for a long time. If you look at the Wall Street Journal, he wrote an op-ed recently called “The legal case for striking North Korea first.” So he has put out there a potential for a preemptive strike against North Korea. I’ve heard him say on many occasions that he does not think that talking to North Korea will work. BEN NORTON: In 2011, Bolton even revealed that had he wanted the U.S. to invade and overthrow Syria’s government immediately after it had destroyed Iraq’s. NEIL CAVUTO: To what end? How far do we go? What is our litmus test? JOHN BOLTON: Well, I think our litmus test is when there are significant American interests involved. And I do think that it would be in our interest to overthrow this regime in Syria. The best time to have done it would be right after we overthrew Saddam Hussein, when we had hundreds of thousands of American troops in Iraq. NEIL CAVUTO: Yes, but where do we draw the line, ambassador? BEN NORTON: John Bolton also frequently resorts to fearmongering about China and Russia. At the 2018 Conservative Political Action Conference, Bolton declared that China is the greatest threat to the U.S. in this century. JOHN BOLTON: I think the issue for the United States in the 21st century is how to deal with rising China. And on the military side, I think it’s important as we look at this question that we send China a single short clear message: You will never prevail over the United States. BEN NORTON: The new U.S. national security adviser referred to China’s alleged support for North Korea’s nuclear program as an “existential threat,” and said the solution must be creating a system that is comparable to Ronald Reagan’s infamous Star Wars program, which was proposed at the height of the Cold War. JOHN BOLTON: This is the kind of existential threat that gives new meaning to the word existential. It’s one reason why the president needs a, not just a kind of missile defense system for the United States the Bush administration contemplated, to deal with the rogue states like Iran and North Korea; we need the kind of missile defense system that Ronald Reagan proposed initially in the Strategic Defense Position, and we need it right now. BEN NORTON: To counter the growing influence of China and Russia, Bolton called for more and more U.S. military spending — above and beyond the already staggering $700 billion annual Pentagon budget, which is larger than the next eight biggest countries’ combined. JOHN BOLTON: We also need a massive military buildup. We need to increase the number of ships in the Navy, upwards of 350; we need massive new capabilities in the air, and for our land forces. The president has taken an important step with his military budget, but a lot more work needs to be done. BEN NORTON: John Bolton never has enough: not enough wars, not enough regime change operations, and not enough military spending. To Bolton, sanctions are never enough either. Whenever the U.S. imposes sanctions on a country, his response has consistently been that the sanctions must be harsher. ELIZABETH MACDONALD: Will sanctions be enough to stop Iran from sponsoring terrorism and ICBM production? So, I think to be effective sanctions need to be much more sweeping. This is a step in the right direction. It certainly sends a political signal. I don’t think unfortunately it will affect Iran’s behavior. BEN NORTON: When the United States put sanctions on Venezuela, Bolton again insisted they needed to be more brutal and more harmful. DAVID ASMAN: Will sanctions alone work to curb the totalitarian instincts of this regime? JOHN BOLTON: Well, these sanctions announced today will not. … I think ultimately, they need to be made much more sweeping in their effect. BEN NORTON: Bolton also openly said the U.S. needed to support the right-wing opposition to help it overthrow Venezuela’s democratically elected socialist government. JOHN BOLTON: I think the United States should find ways to go to the opposition in Venezuela, offer our assistance, covertly or overtly. They may not want it. They may want some but not others. I think our objective should be the overturning of this regime, and has no democratic legitimacy. And the opposition, believe me, very disorganized, needs all the help it can get. BEN NORTON: The new U.S. national security adviser made it very clear what he was calling for: regime change, to topple Venezuela’s elected leader. JOHN BOLTON: This is regime change. It’s the other thing a lot of people don’t like. What we need to do is help the opposition, if they’re willing to accept the help, to try and get this regime overturned. BEN NORTON: The solution John Bolton provides for every single problem is more aggression, more force, and more violence. Not only has the new top U.S. national security official defended past military conflicts and called for new ones, Bolton has also said he wants to intensify the debunked so-called War on Drugs — and not just inside the United States, but throughout Latin America. ELIZABETH MACDONALD: The gang member said it’s easy to get into the U.S. This is a gang member of MS13. Although there’s a lot of talk, really on both sides of the aisle now about more drug legalization, I think it’s a huge mistake. I think if you actually enforce the laws, as we’re seeing in the case of immigration, the danger of abuse drops. And I think this would be something frankly that in Mexico, and throughout Central America in particular, but down into Colombia and Venezuela. BEN NORTON: While in the past Donald Trump may have inconsistently flirted with non-interventionist and isolationist rhetoric, the far-right U.S. president’s appointment of arch-neoconservative John Bolton — a man who has never seen a war he didn’t like — as national security adviser is a sure sign that more sanctions, regime change operations, and wars are on their way.